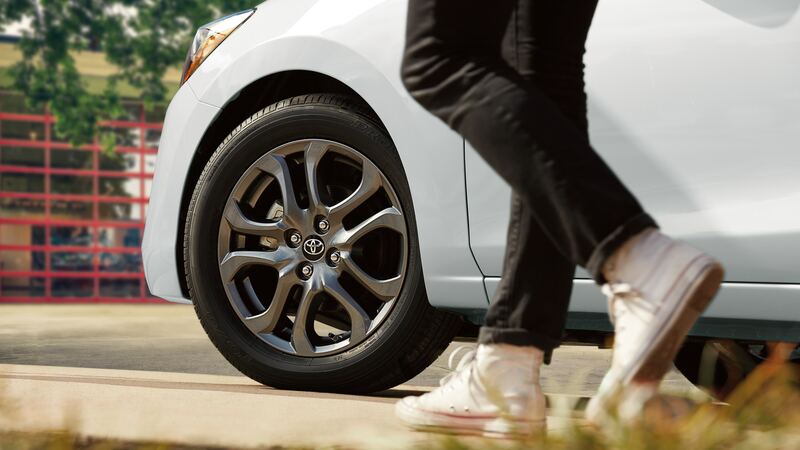 When your weekends are as free as your spirit, the 2019 Toyota Yaris is your go-to ride. It sports the total package: fuel-efficient performance, cutting-edge tech and head-turning style. 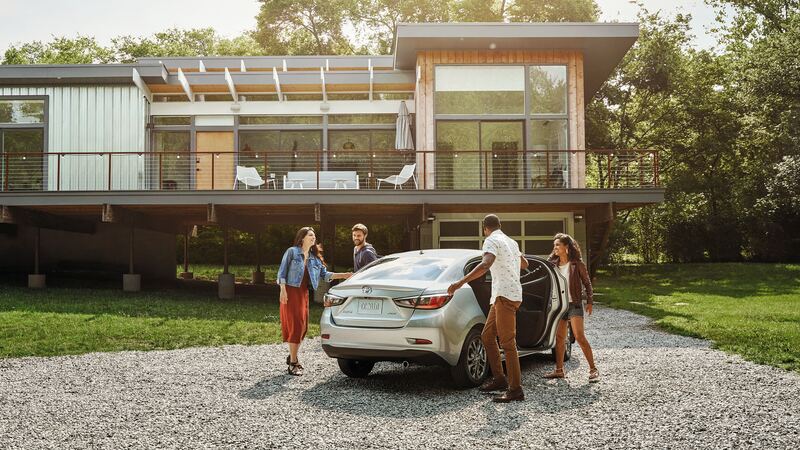 Gather the crew into its spacious cabin as you leave your day-to-day stress in the dust, and cruise with confidence knowing you’re backed by advanced safety technology. Luckily, the fun doesn’t stop once Monday comes. Weekend vibes come standard with every ride. Fun times with fewer fill-ups. Just because you want great fuel economy doesn’t mean your ride has to be boring. 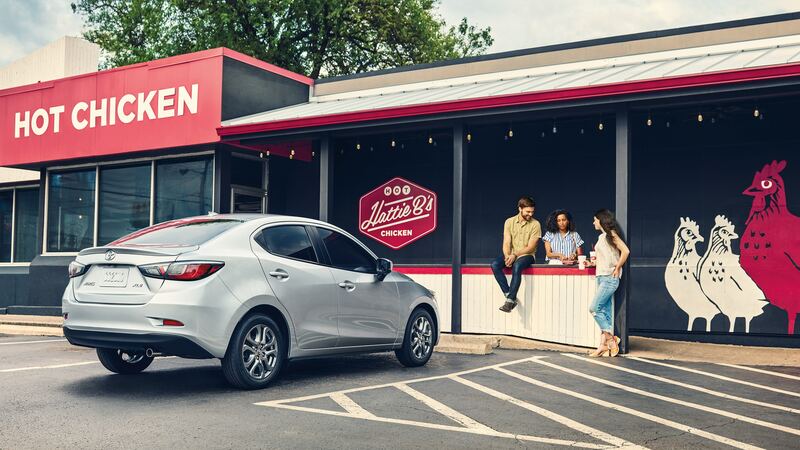 With a lightweight body, agile handling and up to an EPA-estimated 40 mpg highway,221 Yaris is total proof that good times can go a long, long way. The direct-injection 1.5-liter engine on Yaris offers efficient performance with plenty of pep. When paired with the available 6-speed automatic transmission, it offers an EPA-estimated 40 mpg highway and 32 city mpg,21 while the 6-speed manual is an EPA-estimated 39 highway and 30 city mpg.21 Either way, Yaris happily delivers the right combination of efficiency and fun. Good times come in different forms — each just a shift away. The available 6-speed manual transmission features quick, smooth gear changes. Or opt for the available 6-speed automatic with Sport Mode switch. Just give it a push and add a sportier feel to your drive. Find more excitement around every corner. Yaris features a MacPherson strut front suspension and torsion beam rear suspension that offer more than just good looks: They’re tuned to deliver a smooth ride and agile handling. Smart tech for a smarter drive. 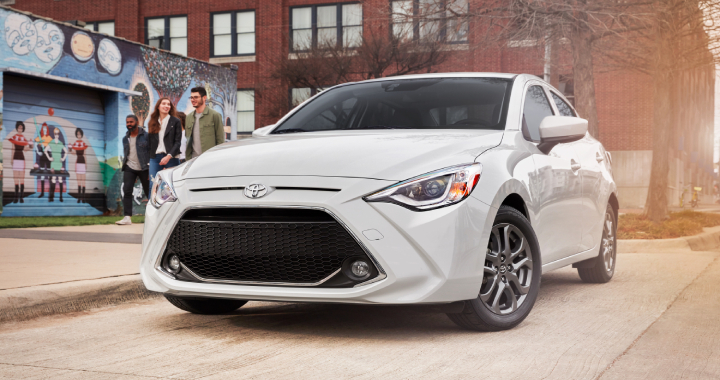 Yaris offers the right tech to inspire your day. The available Smart Key System12 and Push Button Start bring added convenience to every outing. Get going, and the standard 7-in. touch-screen multimedia system2 becomes your new best friend. With standard SiriusXM® Satellite Radio6 you can even discover a new theme song for each adventure. Set it and forget it. With Yaris XLE’s standard automatic climate control, it’s easy to dial in the perfect cabin temperature. Just select your desired temp and Yaris will always keep the interior feeling just right. With the standard 7-in. 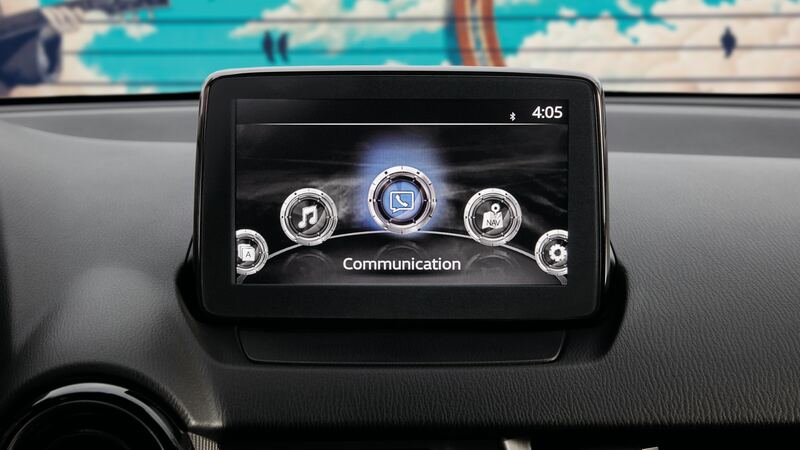 touch-screen multimedia system that lets you access your music and more, Yaris will become your inseparable sidekick. Interact directly via the touch-sensitive screen,2 or opt for the control knob located between the front seats. It also features voice recognition and Bluetooth®9 connectivity, giving you instant access to both your call lists and your playlists. Make every drive instantly better with your very own soundtrack. 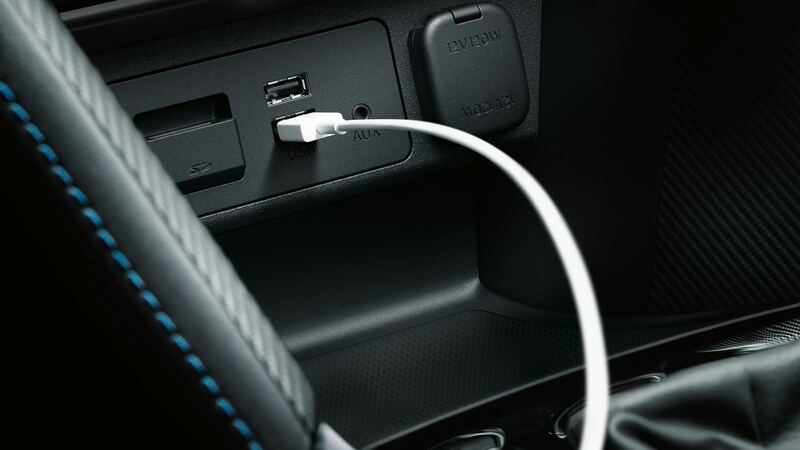 Just plug your iPhone® or MP3 device into one of the two standard USB ports for easy access to your music library, or stream your music9 wirelessly through Bluetooth.® These handy ports also help keep your gadgets charged up and ready for whatever lies ahead. The perfect choice for fun times and free spirits. 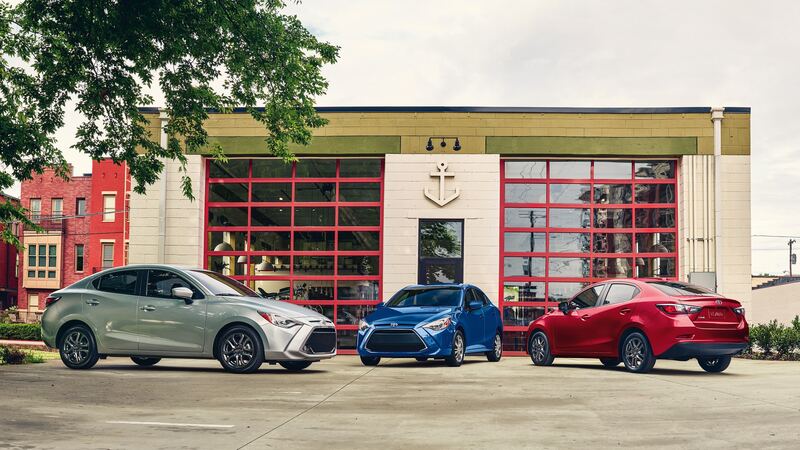 Whether you opt for the sporty L, the well-equipped LE or the premium XLE, every Yaris offers the ideal combination of efficiency, style, tech and safety. Ready to raise a few eyebrows. Yaris cranks up the style with its streamlined silhouette and sporty new race-inspired honeycomb-style grille. Integrated fog lights, standard on LE and XLE trims, perfectly accentuate the aggressive front end while adding extra visibility when conditions become less than ideal. These distinctive 16-in. split-spoke alloy wheels, standard on LE and XLE trims, keep you rolling in style. The machined dark gunmetal finish adds an assertive look that helps you stay in tune with this sedan’s sporty side. Yaris features LED headlights that elevate its visibility and style. Standard on XLE, they shine brighter, use less energy and simply look cool. Plus, the handy auto on/off feature brings even more convenience. Available LED Daytime Running Lights (DRL) complete the sedan’s modern look while helping you see and be seen. Yaris LE and XLE feature LED turn signal indicators built into the outside mirrors. An integrated heating element also helps ensure that fog and ice won’t obstruct your view. Since they’re power-adjustable, fine-tuning the perfect angle is as simple as pushing a button. This is where fun meets finesse. Yaris brings plenty of roominess and amenities along for the ride. Standard features like contoured sport seats and steering wheel-mounted controls surround you in style and substance, while XLE adds an upscale look-and-feel with a host of leather-trimmed touches on the steering wheel, shift knob and parking brake. Yaris will surprise you in a lot of ways — including how many of your favorite things you can fit inside. 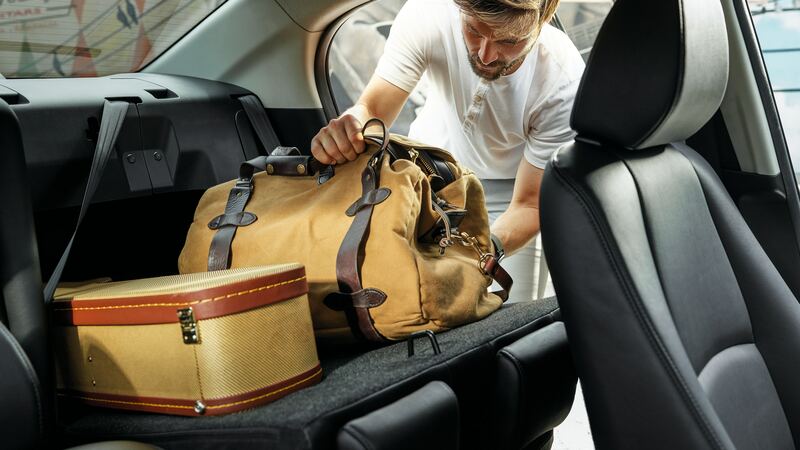 With its standard 60/40 split fold-down rear seats, you’ll be packing more stuff in Yaris than you thought possible. Yaris packs a lot of safety into its compact design. Along with six standard airbags17 — including driver and front passenger airbags, seat-mounted side airbags and front/rear side curtain airbags — every Yaris incorporates a Low-Speed Pre-Collision System13 and Active Safety System as standard equipment. The standard Low-Speed PreCollision System scans the road ahead for potential vehicle collisions. If the system detects a potential frontal collision, an audio/visual alert and braking assistance are automatically activated. Should the driver not respond, this system may automatically apply the brakes. To promote the safety of you and your passengers, every Yaris comes standard with an advanced Active Safety System that includes Dynamic Stability Control (DSC), Traction Control System (TCS), Brake Assist (BA), Electronic Brake-force Distribution (EBD), Anti-lock Brake System (ABS) and Brake Override System (BOS). A wide range of Genuine Toyota Accessories is available to help make driving your Yaris even more fun. Now your Yaris can reflect your personal style. There’s something for everyone. Some accessories may not be available in all regions of the country. Contact Me with any questions 7 days a week. Posted in News and tagged 2019 Toyota Yaris For Sale in Akron Ohio, 2019 Toyota Yaris For Sale in Northeast Ohio, Used Toyota Yaris For Sale, Yaris, Yaris Liftback, Yaris Liftback for sale in Akron Ohio, YARIS MODELS and Trim Levels Available in The Market.